The motorcycle – a symbol of freedom, adventure and youth ever since the 50s spawned those early rebels without a cause and Ted Simon hit the road to pen Jupiter’s Travels. 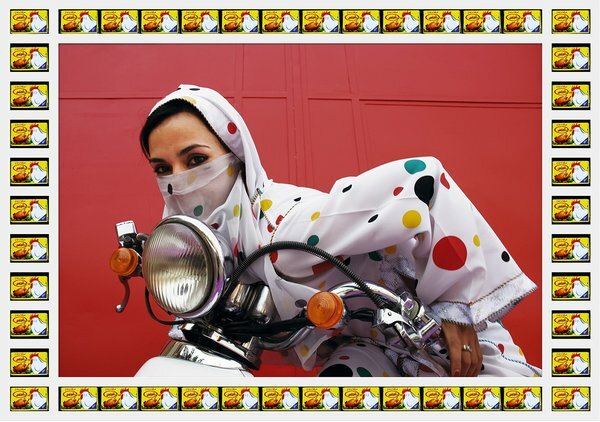 But so often in pop culture do women seem relegated to perching prettily on the back of the bike despite the fact that all around the world I’ve witnessed ladies fearlessly manning their own machines; perhaps not in heels and backwards but often with a gaggle of children to keep from flying off the back. 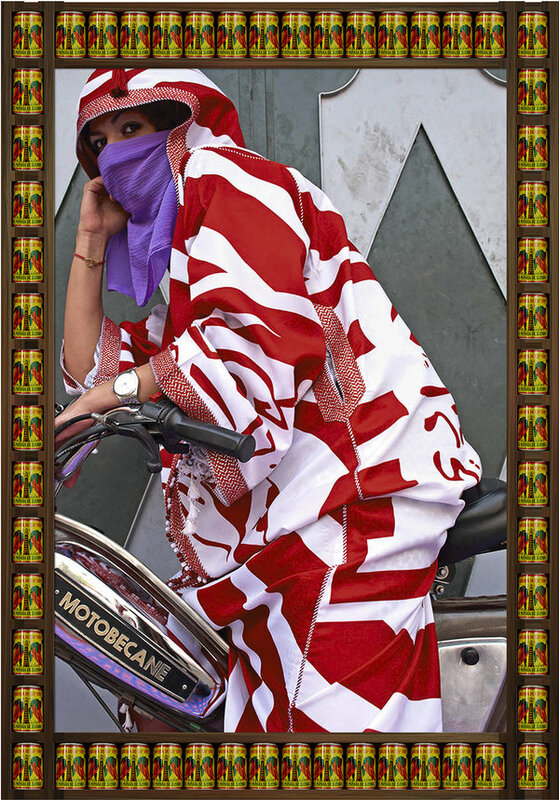 Cue Moroccan-born artist, Hassan Hajjaj who opened his exhibition ‘Kesh Angels’ last week in New York, showcasing a dazzling tribute to the biker girl culture of Marrakesh. 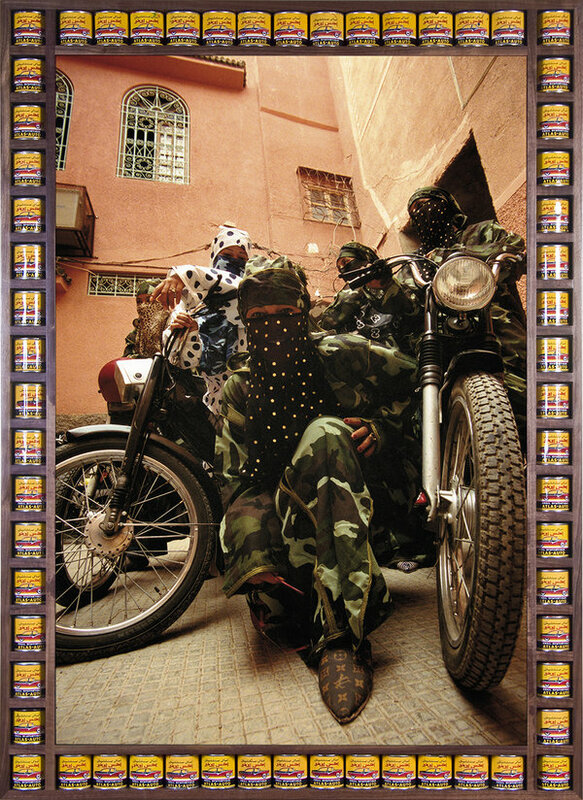 Hajjaj left Morocco for London at an early age and his North African heritage provides a perfect juxtaposition for a nod to the London hip-hop scene, creating an instantly recognisable, distinctive brand of Moroccan pop art. 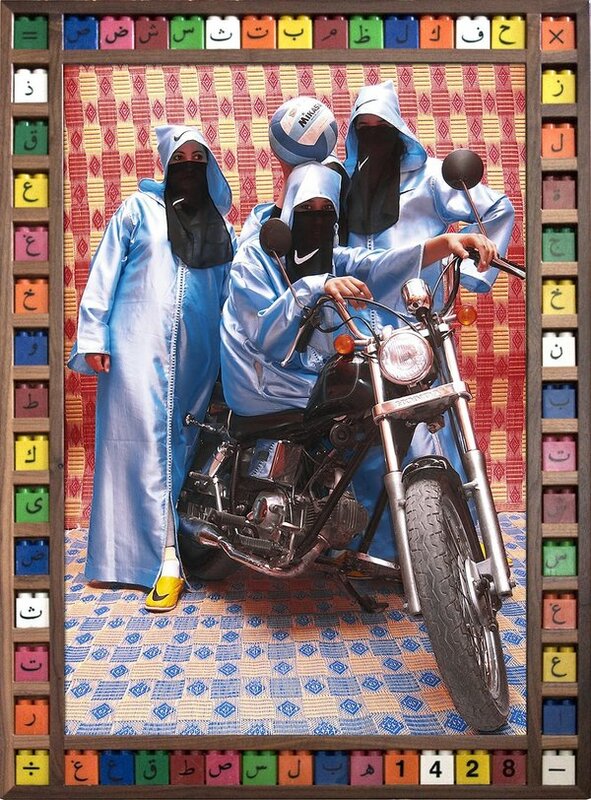 His vivid series of photographs flip-reverse the stereotype of young, Arabic women, portraying beautiful images of strength and individuality as the girls pose with more than a hint of attitude. 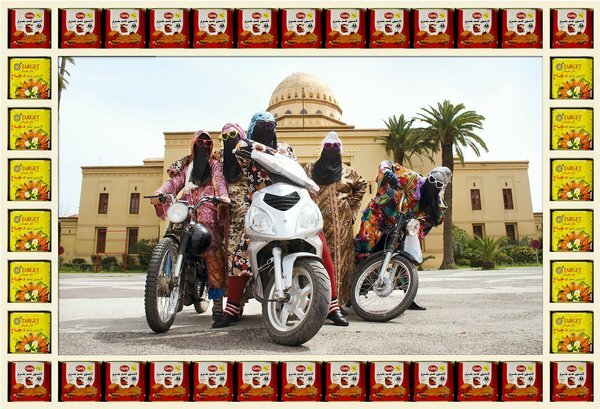 Tough biker connotations pack a punch for girl power, presenting an alternative perspective on femininity in North Africa as two cultures collide in an innovative mash-up of gorgeous, traditional veils and djellabah dotted with bootleg Louis Vuitton and Nike branding. 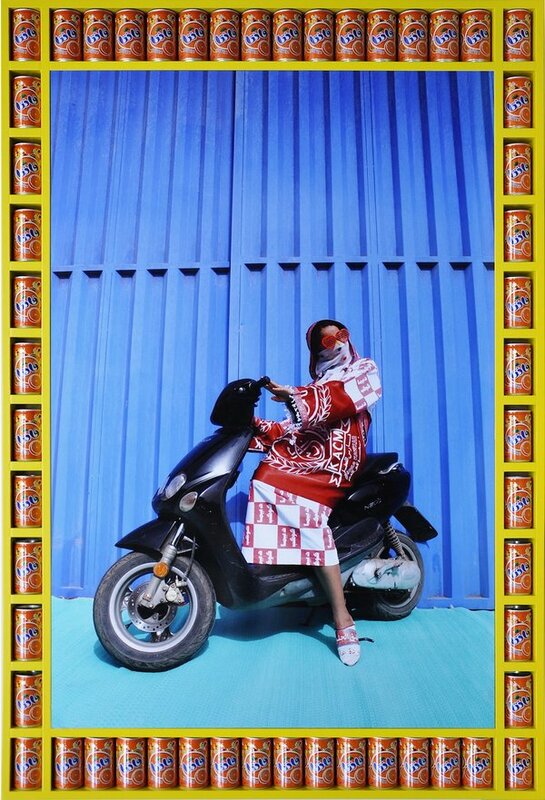 Hajjaj’s backdrops are colourful, African street style framed like the Arabic film posters of his youth only this time with symbols of our consumerist, brand aware culture – cans of Fanta, Pepsi and bright blocks of Lego painted with Arabic characters. 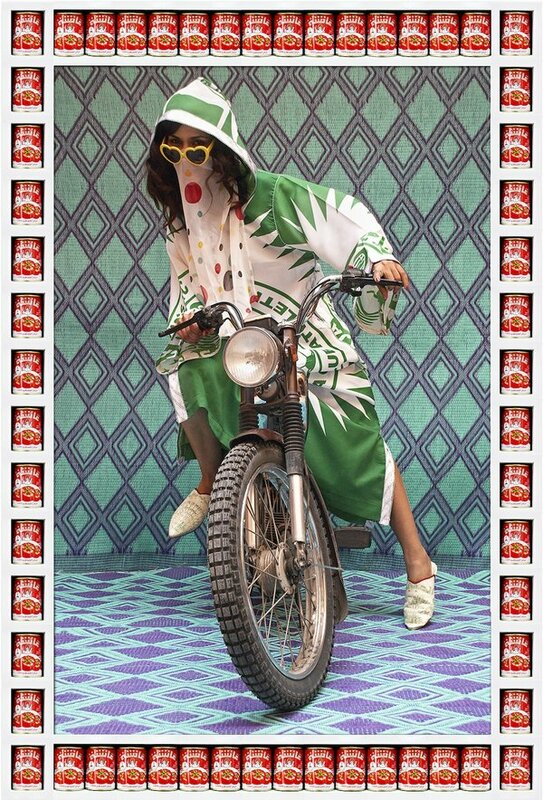 Combined with a final lick of glossy sophistication and pop star posturing behind heart-shaped glasses, the images deliver a fresh and unique look at the vibrant, street culture of Marrakesh. 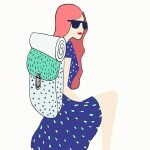 So, if you happen to be at a loose end in the Big Apple before March 7th, be sure to hit up the Taymour Grahne Gallery and get on the road with the girls. 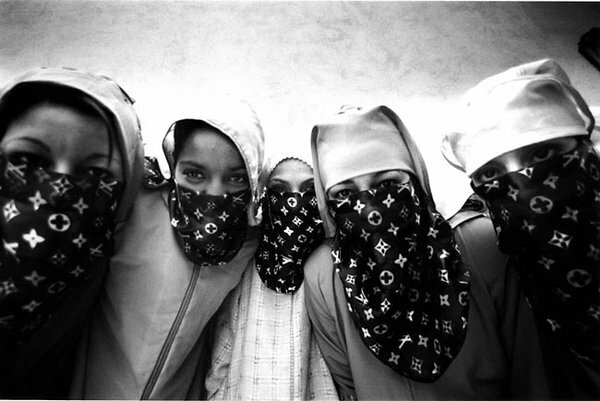 What a great gallery! So strong and vivid.